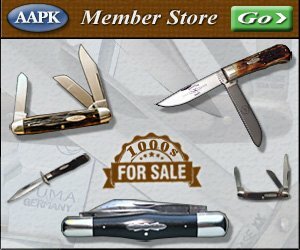 This list of Open Stock Knives is compiled from copies of a Schrade catalog courtesy of Rich Langston. These knives are roughly from the time of 1946 to 1956. You’ll notice that some of these also appear on the list of newer Open Stock knives. You’ll notice that the 834 appears in this list. It continued in the Open Stock knives until 1984, but in reality it continued on until 2004 as the 34OT. Which means this knife pattern endured for well over half a century. Thanks Rich for sharing this information.